I would like to remind you that we have a special offer for the holidays: trees + stickers + beautiful holiday greeting card. 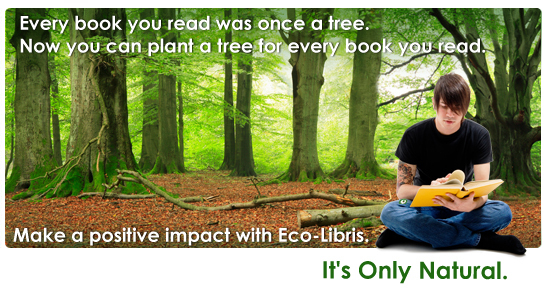 It's very simple - plant trees to green the books your loved ones read. 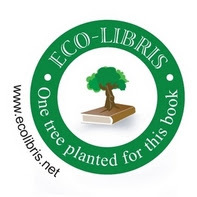 We will send them a beautiful holiday card and Eco-Libris stickers to display on their books' sleeves. Just change the shipping address on the PayPal payment page to the address of the gift receiver (or send us a separate email to info@ecolibris.net with the details) and we will take care of the rest! The holiday greeting cards we send are made by Doodle Greetings (see picture above). Not only these cards come with a beautiful design, but they are also eco-friendly - printed on 100% post-consumer recycled paper and are made chlorine-free and acid free. This is a good fit with Eco-Libris stickers, which are also made of recycled paper! This is also very affordable gift offer, starting from $6.50 for 5 trees/stickers and a holiday gift card! $25, for example, will get you 25 trees, 25 stickers and a beautiful holiday gift card. Interested? go to our holiday gift page. Last but not least, if you buy books this year as gifts for family and friends (and maybe even yourself), we have some ideas on how to make your gift more sustainable. 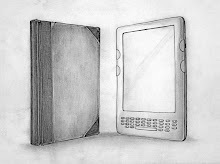 Check out our 10 recommendations on how to green your book gift this holiday season.